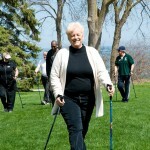 Exercise activities for seniors can be made easier or even more challenging when using walking poles. 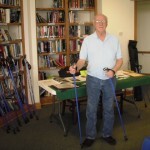 Walking poles are not just used in hiking activities for seniors is mountainous trails or even on parks, it also have several health benefits, including relieving stress and pressure on the waist and the lower extremities of seniors. Walking poles can also be very useful for seniors since it can help in improving one’s balance, which will be very beneficial during any walking activities. For seniors or any users to gain the most out from their walking poles, they have to find the perfect walking pole for their present condition and they should be able to measure walking poles properly. Walking poles are used by some people to increase a workout or exercise intensity. Since most walking poles are very effective in relieving pressure in the lower extremities, the upper body strength will be put to use, thus increasing upper body strength. Walking with walking poles involves triceps, abdominal muscles, and pectorals, which can increase the heart rate of a person when compared to walking without the use of walking poles. Every time the heart rate increases, it can also increase the number of calories burned. 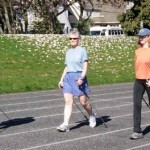 How to Exercise Using Walking Poles? The very first step in using walking poles is to accustom yourself or practice walking using walking poles. At first, it will really feel uncomfortable using walking poles, but as time passes, you will get used to it just as long as you constantly use your walking poles every time you do any walking activities. You will not just have to practice walking with walking poles, you will also have to practice your grip while using walking poles. 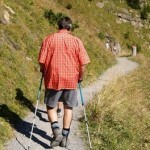 When using walking poles, make sure that your arms are in front of you as you walk. Make sure that when you walk, your arms should be parallel with the ground. Always remember to angle walking poles toward your body. If you are going to step your left foot forward, make sure that the tip of the right walking pole should be in line with the ankle or heel of your left foot, and vice versa. Never lean forward as you walk, this will not do you any good. 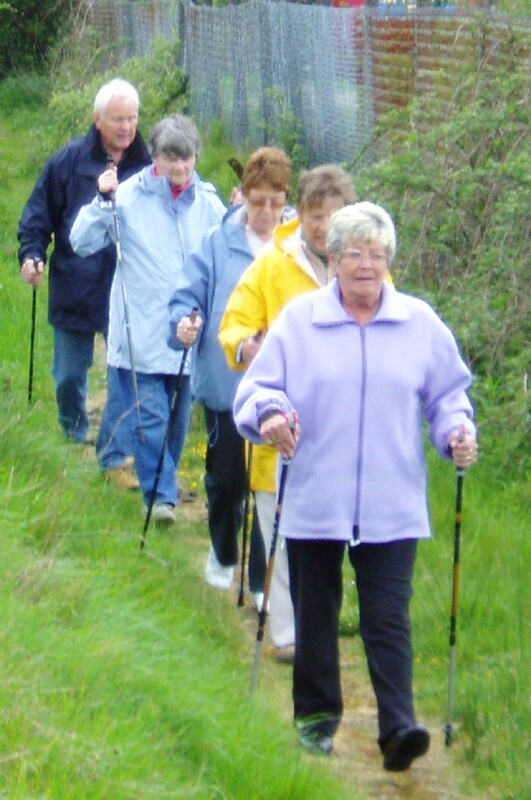 Standing straight while walking with walking poles can help in working your abdominal muscles. To further increase the intensity of your exercise while using walking poles, you can add bounce in every step you are going to make. 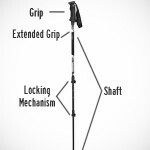 You may learn the proper bouncing technique as you get used to using walking poles.